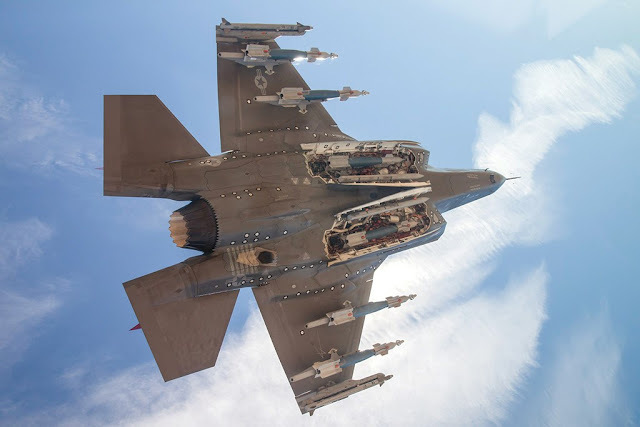 External pylon training increases F-35A weapons payload capability. On July 7, 2017 the weapons load crews from the 388th Fighter Wing, Hill Air Force Base, started certification training to load external pylons on F-35As. The news was realease by the 388th FW P.A. The removable pylons are used to secure external munitions under the aircraft’s wings greatly enhancing its combat capability. Until now, maintainers and pilots have been training operationally only with internally-loaded munitions. “Increased weapons payload capability helps the F-35A become the weapons delivery platform of choice for combatant commanders,” said Col. Michael Miles, 388th Maintenance Group commander. “It places the Air Force’s only combat capable F-35A unit at the forefront of planning for future combat operations"
"This training provided F-35A maintainers the opportunity to change the jet’s configuration before they’re required to do it in combat or an environment with a high-operations tempo and will provide insight for future operational units across the Air Force", Hilliard said.